Strong sales of Amazon's Kindle Fire have reportedly prompted the company to increase its orders, proving the obvious point that people really like inexpensive tablets. DigiTimes, citing "sources from upstream component suppliers," reports that Amazon has increased its Kindle Fire orders to more than five million units before the end of the year. 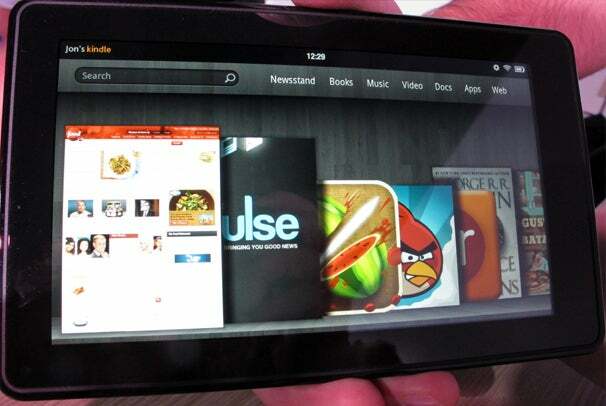 Other sources have estimated that Amazon is selling 25,000 Kindle Fires per day in pre-orders. The 7-inch tablet, priced at $199, launches Nov. 15 on Amazon.com and at major retailers including Best Buy and Walmart. The reportedly healthy sales should be no surprise. Apple's iPad created an interest in tablets, but in doing so it also created a market for people who want a tablet but don't want to spend $500 or more to get one. That explains why Barnes & Noble's Nook Color, formerly $249 and now $199, is the second best-selling tablet in the United States behind the iPad, according to the company. Amazon and Barnes & Noble are tapping a lucrative market. For that reason, I don't buy the studies that claim the Kindle Fire's early success spells trouble for Apple's iPad. The market for 7-inch tablets selling at $200 is different from the market for 10-inch tablets going for $500. The big question is not whether the Kindle Fire and Nook Tablet threaten the iPad, but whether Apple will try to tap the other market with a smaller, cheaper iPad. Some analysts think so, at least. But for now, I don't see any reason why small, cheap tablets like the Kindle Fire and big, expensive ones like the iPad can't thrive independently. And I hope they do, because choice is good.